Authorities believe a man being sought in connection with a sexual assault in Hays is in Colorado. 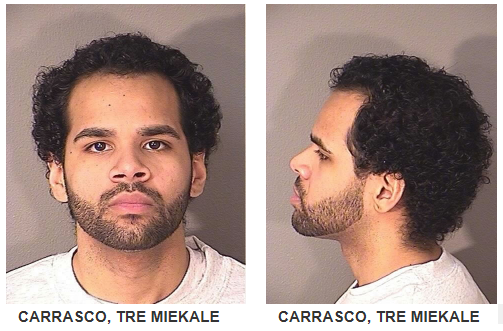 Hays Police say they have obtained an arrest warrant for 23-year-old Tre Miekale Carrasco. Carrasco is accused of sexually assaulting a woman in Hays last Sunday, February 3rd, in the 400 block of west 7th Street in the area of the Fort Hays State University Campus. Several hours after the alleged crime Carrasco was caught on video at a truck stop in Colby. Police say since then, the last known location for Carrasco was in the Denver, Colorado area. They are working with local authorities to try and apprehend him. If anyone has information on the whereabouts of Tre M. Carrasco please call the Hays Police Department at (785) 625-1011.